Spyro will be making a come back in 2018 according to Kotaku. Sources close to the project have told Kotaku that the remastered trilogy will be announced in March. The game is set to release in Q3 of this year. Being released exclusively for PS4 for the first year and then ported to other consoles, this game will follow the same vein as the popular “N’ sane” trilogy. It will include upgraded graphics built from the ground up, (Lets face it since it’s a PSX game, it’s going to need it). New lighting, a remastered sound track and other enhancements to the original. 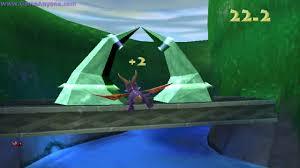 The games include; ‘Spyro the Dragon’, ‘Gateway to Glimmer’ (Ripto’s Rage in the US) and ‘Year of the Dragon’. One of the PSX best series of games (After Final Fantasy, Metal Gear and Crash Bandicoot obviously). 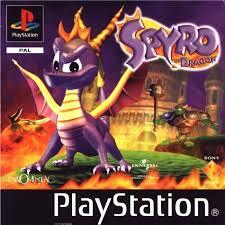 ‘Spyro the Dragon’ first hit the PSX back in 1998 and was made by Insomniac games. It was a critical success and went on to spawn two more games on the PSX and branched out onto other consoles in the next generation. 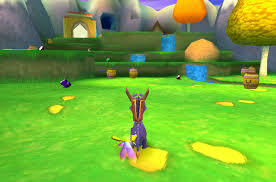 The series would later be taken over by Skylanders after Activision obtained the rights to Spyro. The trilogy follows the adventures of Spyro the dragon and his sidekick Sparx the dragonfly as they work their way through different worlds and platforming levels. Each game told a different story, from rescuing dragons trapped in crystal, to freeing another dimension from a dragon hating sorcerer midget to rescuing dragon eggs. ‘Gateway to Glimmer’ which I think I nearly completed 100%. It’s going to be great trying to beat those flying stages in HD with the water looking almost photo realistic.